Take the hassle out of online shopping and find all of the product information you need in one place with the great selection of helpful buying guides online at Officeworks. Compare similar products, check out product reviews and become more informed with these impartial buying guides from the product experts at Officeworks. Buying a pen can be a personal and tough buying decision. Do you opt for rollerball, gel, fountain, ballpoint, fineliner or premiums pens? Let the Officeworks Pens Buying Guide detail the finer points of what each pen has to offer. Chairs come in all shapes, sizes, functions and much, much more these days. The Officeworks Buying Guide will break down the key things to look for in a chair, so you'll stay comfortable, supported and stylish. Looking for the best printer to suit your needs but need to narrow down your options? Check out the helpful printer buying guide online at Officeworks. Compare different printer models from top brands like Brother, Canon, Epson and HP and browse the wide collection of printer reviews to help you find the perfect printer. Be in control with a smart home or office. Browse the Officeworks buying guide to better understand your connectivity needs - whether you need wireless security cameras, remotely controlled thermostats, lights and plugs or just a starter kit. A quality computer monitor lets you see the big picture. Whether for professional use or gaming, find the best monitors for your needs. Take the guesswork out of buying information on display types, resolution, size and much more. Shopping for a laptop can be a stressful experience. Let the Officeworks Laptops Buying Guide make choosing the best laptop for your needs a breeze. There are many great tablets to choose from in the range online at Officeworks. Picking which one can be difficult, so browse the Tablets Buying Guide and narrow down your search for the best tablet. With so much stored digitally these days, a good hard drive is an essential piece of tech gear. Browse the Hard Drives buying guide to help you find the ideal data storage device for your needs. Strive for a healthier, happier you with the help of a fitness tracker from the range to buy online at Officeworks. Find the best activity tracker for your needs in a selection that includes the best Fitbit, Garmin and TomTom wearables. Let the Officeworks Headphones Buying Guide make choosing between Beats, Plantronics, Sennheiser and Skullcandy a breeze. For more information, check out the many headphones reviews on the best brands. Buying a new phone is a big decision - make the right purchase with the aid of the Smartphone Buying Guide. Get the inside scoop on the best iPhone, Samsung Galaxy S6 and more. Listen to your music in superior sound with a Wireless or Bluetooth Speaker. Let the Wireless Speakers Buying Guide help you find the perfect speaker for your needs in a range that features the UE Boom 2 and UE Megaboom. Keep your private documents in check with a shredder from Officeworks. Work out which type of shredder is best for your needs, from cross-cut to strip-cut, commercial to personal, the Shredders Buying Guide will help you find the perfect model. Whether for business or home use, at school or on the job, Officeworks has a label machine for you. Use the Label Makers Buying Guide to find the perfect labeller for your needs. Impress with that important presentation, sit back and enjoy family movie time in style or keep a classroom entertained with a quality projector. Help find the perfect projector to suit your needs with the projectors buying guide. Commander VOIP phones help you cut down on costs and are flexible enough to grow with your business. Compare Commander handsets and subscriptions to select the right solution for your needs. Buying the wrong pencil would be pointless. Find the right one for your needs, whether it’s for writing, drawing, colouring, sketching, shading and more, with our Pencils Buying Guide. For a truly immersive gaming experience, you need peripherals that are specifically designed for gaming. Our Gaming Accessories buying guide shows you the must-haves and helps you find your winning combination. Connectivity is more important than ever thanks to our ever-growing reliance on the Internet. Browse our Networking buying guide to find out what components you need for a robust networking set up. Mobile phones are such an essential tool these days that any damage would be a major inconvenience and could be expensive to fix. Learn which accessories are best to protect and personalise your phone. Immerse yourself in a virtual reality environment with a VR headset. Learn how they work and compare the various types available in our VR headset buying guide. Good organisation and the right supplies can help you minimise the stress of moving. Find out more in our Moving Supplies Buying Guide. In today's connected world, you need to be vigilant against viruses, malware, spyware, fraud and other online threats. Our buying guide shows you what to look for in internet security software. A good security system can help improve your safety and peace of mind. Learn more about the products that can deter crime and make your home or office more secure. MacBook, MacBook Pro or MacBook Air? Compare the different Apple laptops and learn about cool features such as Retina Display and the Touch Bar in our MacBook buying guide. HDMI cables have helped to cut down on cable clutter but it can get confusing selecting the right one for your needs. Our buying guide can help you make your purchasing decision easier. Our handy guide walks you through the various binding styles and binding machines available to help you make the right choice for your needs. Confused by the various envelope sizes available? Our handy guide compares the different sizes such as C4, B4, DL and DLX, as well as types of envelopes to help you make the right choice. Alternating between standing and sitting provides the optimal balance at work. 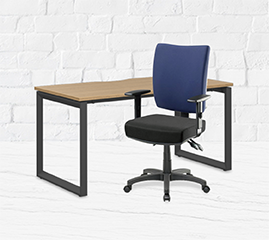 Our buying guide walks you through standing desks, ergonomic chairs, footrests and more, to help you find the right sit-stand furniture for your needs. Looking for a laminating machine and not sure which one you need? Our buying guide explains the various options available and what to look for before you buy. Make your next art project a masterpiece by choosing the right brushes for the job. Learn what to look for, including brush shape, size and bristle type, and which one best suits oil, acrylic and watercolour paint. Get organised for your next business trip with our handy checklist. Officeworks has everything you need to travel in comfort and style. Selecting the right copy paper for your printing needs can get confusing with the huge range available. Learn what to look for, including paper size, coating, weight and whiteness, to make the right choice. Looking for a drone but not sure which one's right for you? Our helpful guide walks you through the various options and shows you what to look for to help you select the right drone. Fitbit activity trackers and smart watches are great in helping you to achieve your fitness goals. Use our handy guide to compare the latest Fitbits and find the best fit for you. Ensure you always buy the right battery for your needs with our helpful battery buying guide. Learn about the various types available, including lithium and alkaline batteries, and compare common battery sizes such as AA, AAA, C and D.